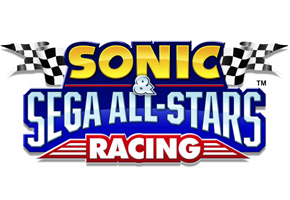 As copies of Sonic & Sega All-Stars Racing finally begin to spread among North American stores today, a handful are reconsidering their purchase of the game after it was revealed All-Star Moves, one of the game’s selling points, may not be available for online play. “This is really a game killer for me!” wrote Sega forumer Bigball123. Widespread reports, purported to have been confirmed by a Sega Europe tester who frequents GameFAQs, allege that the All-Star Move capability is not available during any online multiplayer battle. It is a strange move, considering those moves and the multiplayer aspect are among the game’s key selling points. A few have wondered if lag has anything to do with the decision, which had not been previously disclosed. We have not heard yet, as of the time of this article’s publication, from any Sumo Digital representatives on this matter. That is expected to come at some point soon, and we will update this story when it does. For the moment, we’re treating this as rumor, with an explanation as to why–or how to turn the moves on–pending.